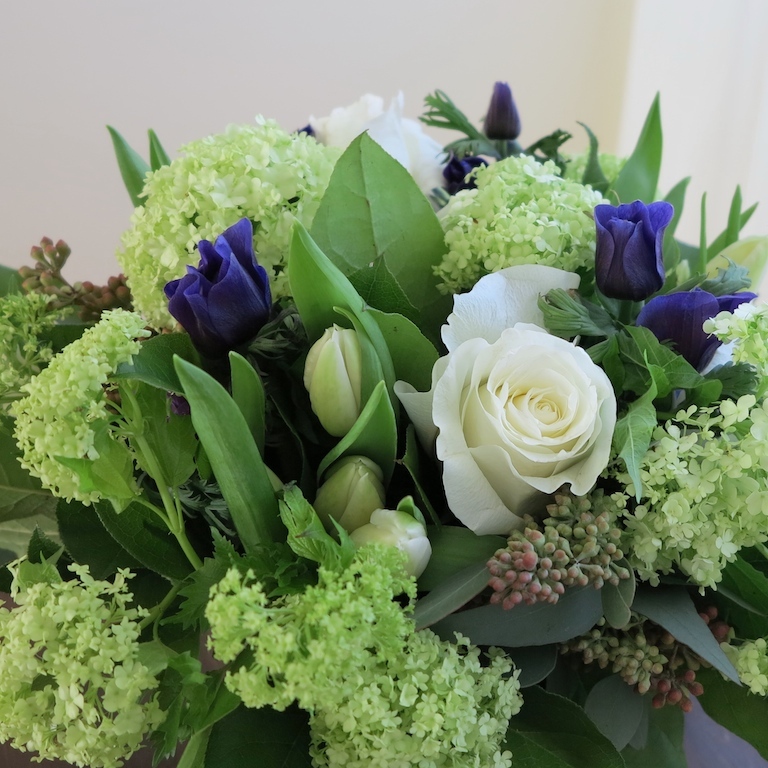 Unique bouquet of white tulips & roses, blue anemones and green viburnum in a vase. A cool gift of modern, graceful flowers just a click, tap or call away. Recommended as our January flowers, New Baby and or Thank you bouquet. Flower delivery in Toronto and GTA. Enjoy mobile & online flower shopping at Toronto florists. If you need any assistance please call our Toronto flower shop. 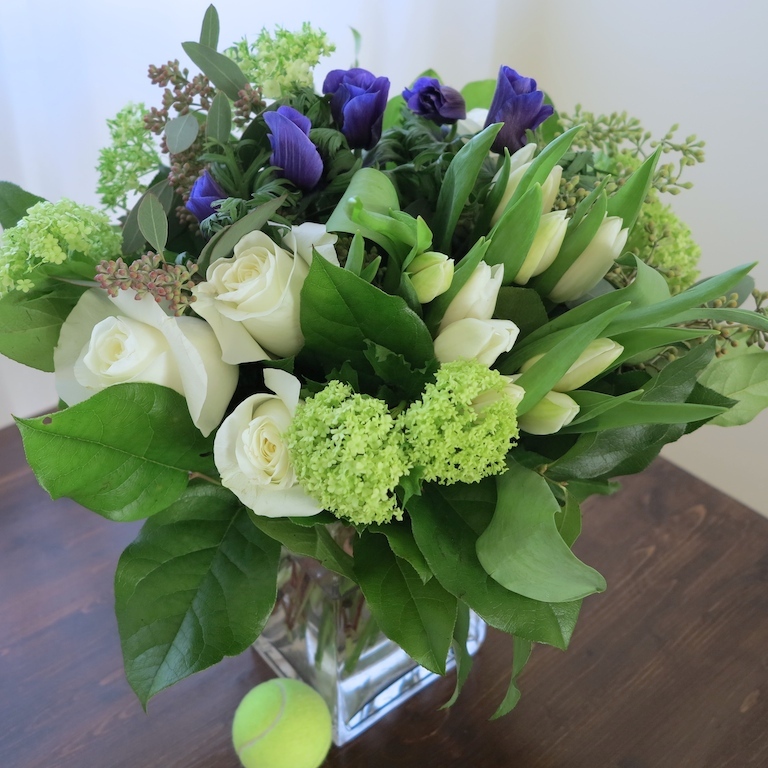 We offer downtown Toronto flower delivery.